Marking a fresh start to the new year, Germany's 2018 new tractor registration figures are in. 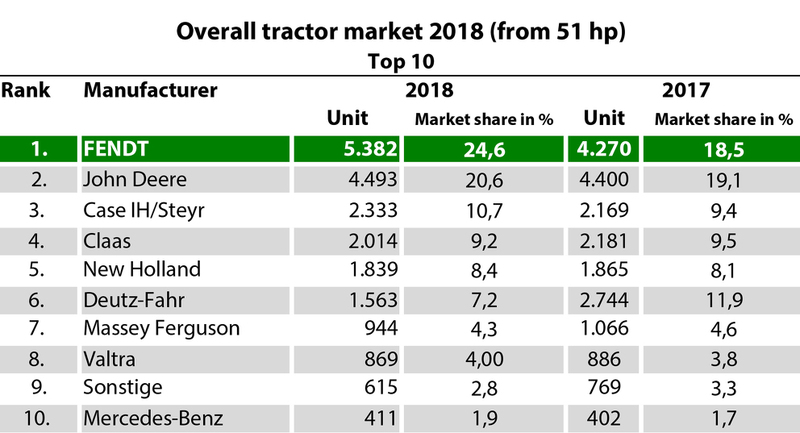 And the numbers show that Fendt continued to impress German farmers and contractors last year – in every tractor class above 51 hp and with three models declared the nation's favourites. Source: Number of new registrations and market share. Published in profi 3/2019, based on 2018 new tractor registration statistics from the German Motor Vehicle Transport Authority (KBA) and the Mechanical Engineering Industry Association (VDMA). "I am delighted that Fendt tractors are again the number one choice among German farmers. 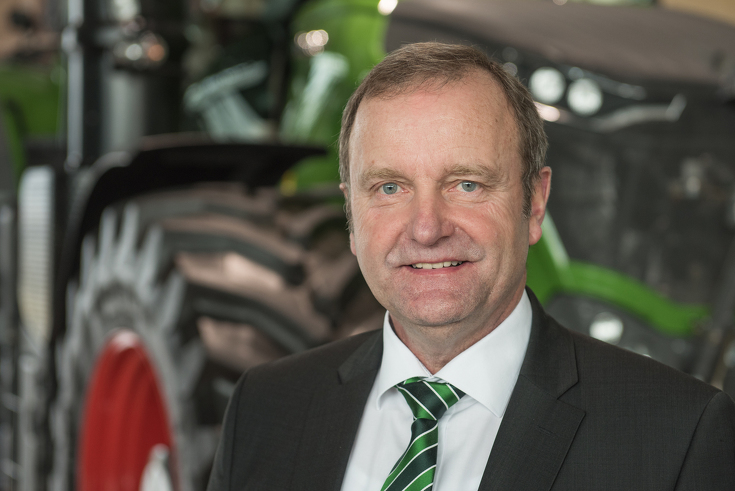 Being at the top of the registration table is not just a matter of habit for us – it's all down to a lot of hard work and dedication from the entire Fendt team and our distributors," says Andreas Loewel, Head of Fendt Sales Germany. 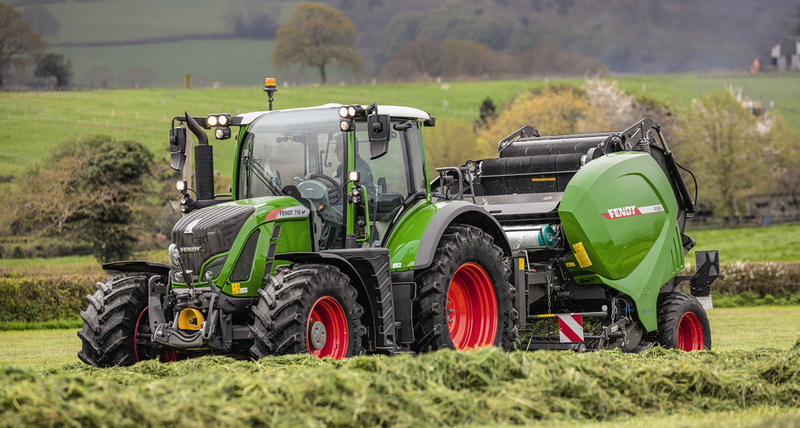 "Considering we only offer tractors from 70 hp, it's a significant achievement to be leading the 51 hp-plus range with a market share of 24.6%." Looking at the different power classes that Fendt tractors appear in, Varios are at the top of four of them. Especially in the 201 hp-plus range, Fendt holds the top position in Germany with a market share of 35.7%. Source: New registrations by performance class and ranking. Published in profi 3/2019, based on 2018 new tractor registration statistics from the German Motor Vehicle Transport Authority (KBA) and the Mechanical Engineering Industry Association (VDMA). Source: Number of new registrations by tractor model. Published in profi 3/2019, based on 2018 new tractor registration statistics from the German Motor Vehicle Transport Authority (KBA) and the Mechanical Engineering Industry Association (VDMA). 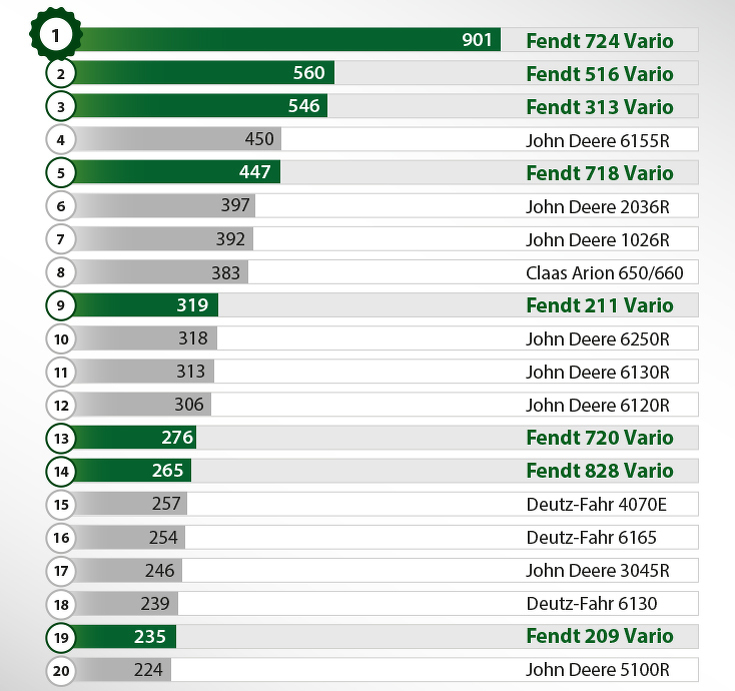 A breakdown by tractor model shows that Fendt owns the top three of the 'nation's favourites'. The entire 700-series is by far the most popular tractor series in Germany – confirmed not only emotionally, but by the sheer number of customers who bought a Fendt 700 Vario from dealerships. 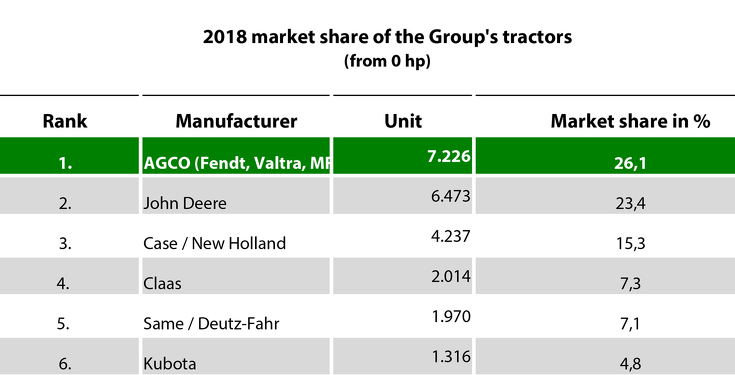 Fendt 716 Vario and round baler Fendt Rotana 4160 V.
Source: Number of new registrations by manufacturer and market share. Published in profi 3/2019, based on 2018 new tractor registration statistics from the German Motor Vehicle Transport Authority (KBA) and the Mechanical Engineering Industry Association (VDMA). Fendt belongs to the multi-brand group, AGCO. 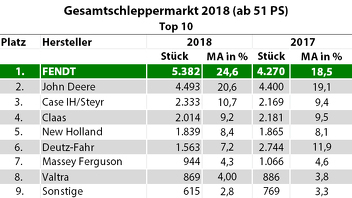 Together with its sister brands, AGCO regained its number one spot in Germany in 2018, with a market share of 26.1%, up 1.5% on the previous year. "Many of our distributors sell Fendt and Valtra tractors because these two tractor ranges complement each other so well. It means the dealer has the right model for every customer, creating synergies for the brands as well as a complete tractor range for dealers," says Andreas Loewel on the success of AGCO brands.